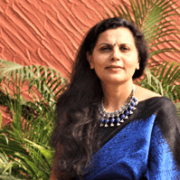 Shalini Kamath is a Certified and practicing CEO & Leadership Coach, focusing on Change and Transformation journeys of individuals and organizations. She also works in the area of Leadership Development and Diversity & Inclusion initiatives across organizations. 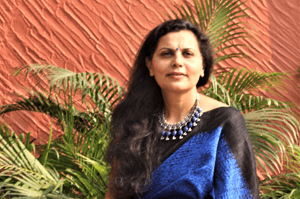 Shalini is an Independent Director on the Boards of Borosil Glassworks Ltd. and Graphite India. She is on the Advisory Board of TRAAIN and the Past Chairperson for FICCI – Women on Corporate Boards Mentorship program. Passionate about Human Resources having led the function at ChevronTexaco, Star, KPMG and Ambit, she also has a deep understanding of Marketing and Corporate Communications having worked in these fields with Raytheon and Ambit. Shalini began her working career in Zambia and Botswana in Southern Africa with over a decade+ experience in tripartite partnership projects. An MBA graduate from Edinburgh Business School, UK, trained at Harvard Business School in Change and Transformation, a certified Zenger Folkman facilitator, a sought after speaker, she is a firm believer in continuous renewal to remain relevant in today’s fast changing world.